A family-owned vineyard established in 2007 by two families, Diana and Chuck Jones and Ronnie and Raymond von Drehle. Diana and Ronnie are sisters making this a family business. All four owners are all originally from NC, Chuck from the Asheville area and Diana, Ronnie, and Raymond from Hickory. 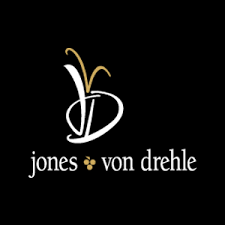 Jones von Drehle is an Estate winery, producing wines solely from the 30 acres of fruit we grow on this property. Jones von Drehle buys no fruit or juice from anyone and has been that way from the beginning.